Fibromuscular Dysplasia's Patient Registry Good For Research, But Is It Good For Patients' Quality of Life? Fibromusclar dysplasia patients learned that principal investigator, Dr. Jeffrey Olin of Mount Sinai School of Medicine, would be presenting initial findings from the FMD patient registry at the International Symposium on Endovascular Therapy mere hours before his talk. Not that it mattered much. Patients weren't part of the ISET program. We didn't get to hear what Olin said. We—the people in the study—got a news release. Or at least there was a release put out and a few subsequent health news articles, which those who were paying attention shared around the FMD community. To any FMD patient, the findings were less than surprising. Of the 339 patients studied, 91 percent were female—a fact evidenced by any FMD social community, including the one for which I am a co-founder and moderator called FMD Chat. More than 95 percent of patients suffered one or more of the following symptoms: high blood pressure (66 percent); headaches (53 percent); rhythmic ringing in ears (30 percent); dizziness (28 percent); a whooshing sound in the ear (24 percent); neck pain (22 percent). Again, this list of symptoms and their prevalence offers no new information to patients. 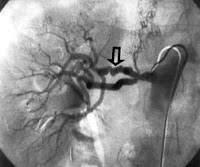 Olin reported that the location of FMD affected arteries showed the most common being the renal arteries followed closely by the carotids and that many patients have FMD in multiple locations. We knew this too. FMD is often found by accident after a stroke or transient ischemic attack, Olin said. Yes, we know. It should be looked for in young patients with high blood pressure or migraine-type headaches. Yes, we know. FMD can be diagnosed with angiography, CTA, or MRA. Yes, we know. Angioplasty can be used to open up affected arteries if done early enough. Yes, we know. Blood thinners and antiplatelet drugs may be prescribed. Yes, we know. FMD can lead to a tear in the artery or permanent kidney damage. Yes, we know. It is unclear what causes FMD. Yes, we know. FMD is an underdiagnosed disease. Yes, we know. Granted, rare disease patients tend to be extremely well-informed about their disease. We have to be. The very nature of a rare disease is that it is rarely seen, so patients often know more than the healthcare providers treating them. This is particularly true for patients living in rural communities without access to teaching hospitals. Patients become the teachers—assuming that the healthcare providers are willing to listen. What we don't know is why a registry, which began in 2008 and costs nearly $50,000 a year paid to the University of Michigan to maintain, has yielded information that does not correlate with what patients really want to know. Among FMD Chat group participants, questions are never about what percent of patients exhibit a particular symptom. The questions overwhelmingly begin with "why." Why did my artery dissect? Why do we dissect when we do? Why the headaches and neck pain? Why orthostatic hypotension post FMD-related carotid dissection? Will dissections continue to happen? Is one born with FMD or does it develop over time? Will FMD progressively develop in additional arteries after first being diagnosed? Is it a connective tissue disease? Having been previously healthy and then diagnosed with FMD, why do other health problems occur? How many people die as a result of FMD and at what age? What we don't know is why FMD patients tell story after story about traveling great distances across the country to see doctors identified as FMD specialists to leave with no plan of action, no sense of treatment, and an overwhelming sense of frustration. Diagnostic angiograms, CTs, and MRAs come back "unchanged" or even "normal" though will little explanation as to whether normal is normal or normal is the new normal for that patient. Stents may be placed, but there is no promise of their effectiveness. Angioplasty may be performed... and required again and again. Some cases have resulted in bypasses, yet there is little to no data on whether the bypasses will remain patent. More often than not, patients report physician visits as exactly that—a visit—having been sent home with no new information and no hope. It is no way to live. These issues do not bode well for a much exclaimed conjecture from Olin's report: FMD may affect 4 percent of the U.S. population. 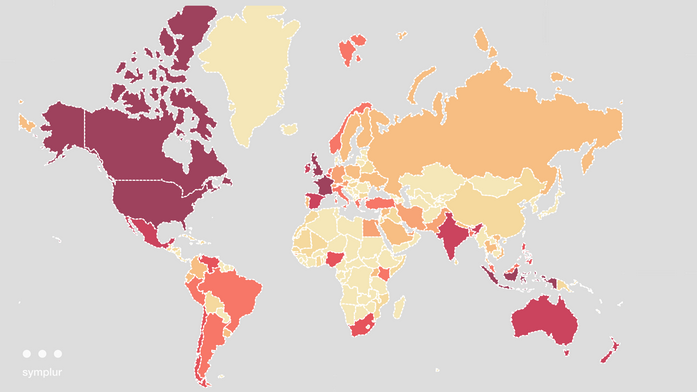 Four percent of the U.S. population is approximately 9 million people. FMD is currently classified as a rare disease. 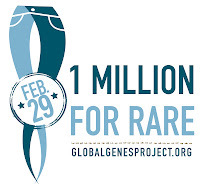 With the U.S. a rare disease is one that impacts less than 200,000 people. Projecting that FMD affects 45 times as many people in the U.S. not only means that FMD would lose its rare disease classification; it means that 9 million people will have the same questions as the current group of frustrated and terrified FMD patients. Problems with this 9 million figure are two-fold. First, no reports generated from ISET explain what methodology Olin used to derive this 9 million figure. How does a study of 339 patients translate to the potential of 9 million patients in the U.S., much less world-wide? Secondly, how will losing rare disease status affect allocations for future research funding? Even the non-healthcare provider and non-researcher would be safe to say that there's more funding to be found for researching more common diseases. From an outsider perspective, it seems rather at odds that the researcher who stands to gain funding for his work chairs the advisory board of the Fibromuscular Dysplasia Society of America, which funds the registry. "Dr. Olin and his associates from the registry hypothesize that patients who develop FMD have an as-yet unidentified genetic predisposition that interacts with an environmental trigger," reports Mitchel Zoler in Family Practice News. "His hope is that, by continuing to expand the registry and by receiving substantially more research support than FMD now gets, a more concerted research effort can address the genetic questions raised by the family-history findings." Researching FMD is important—at least to those of us who have it, to our family members current and future, and to those who may one day be diagnosed. However, the most immediate need it to improve FMD patients' quality of life. More must be done across the related specialities to address the issues that many FMD patients struggle with on a day-to-day basis including crippling fatigue and pain, the inability to work and lost income, depression and anxiety, isolation and fear. These issues are imminent threats to patients' overall health, and without a concerted effort to holistically treat patients there may well be fewer patients willing and able to participate in research studies. 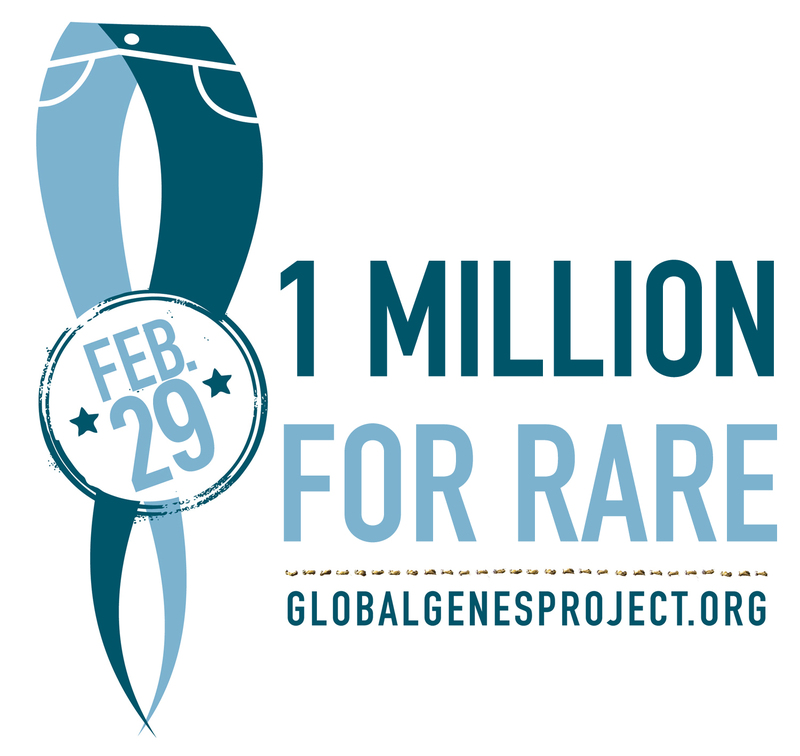 This blog post is part of the RARE Project's blog hop to raise awareness of World Rare Disease Day, held on Feb. 29, and is part of a collaboration among the RARE Project, The Afternoon Nap Society and Grand Rounds. To read Grand Rounds selected posts, some of which also address rare disease, click here. • An estimated 350 million people are affected by rare disease worldwide. • One in 10 Americans is affected by rare disease, which is more than 30 million people and more than the total number of people living with cancer worldwide. • There are more than 7,000 rare diseases with some affecting less than 100 people. • Almost 80 percent of rare diseases are genetic in origin. disease, and only 5 percent of the diseases have any type of treatment. • Thirty percent of children with RARE disease will die by their fifth birthday. • More than 50 percent of rare diseases have no foundations, advocacy group or community support. If indeed this is the case, we also need to bring Doctors into this century; we can educate better when we have an open line to communication. I'm sure everyone who reads here can tell the story of the phone calls to doctors, answered by the desk and supposed message left. Doctors need to communicate BETTER...I'm fortunate...I have a few that actually look at my med file online and EMAIL me.. Kudos to you on this. Way to get at the heart of this thing! To really do what needs to be done to make a change, to get answers!! There have to be some answers, there has to be an interest, we do have to raise money and put it in the hands of someone with the want, the know how, and quite frankley the clout to get FMD the attention it deserves. thank you for this. Found you via the rare disease blog hop. Very informative. I too am part of a rare disease community with a registry; I too sometimes fail to see how it benefits patients to be 'made aware' of statistics that only verify what we already knew. Our registry (of which I am a part), though, has the expressed intent of being used by research doctors to develop patient-relevant studies (though we haven't seen this benefit yet) - is that the case with the fibromuscular dysplasia registry? Does the format of the registry allow patients to ask questions or provide input into what should be researched? Sometimes it is so frustrated to feel like we (in the rare disease community) are perpetually in the data collection phase, and never quite in the treatment phase. While I understand that everyday practitioners might respond well to statistics (and like you say, so many of us know more about our own condition than the doctors treating us), I keep waiting for the benefits of all the research. Anyway, thank you for your post and your efforts to raise awareness.